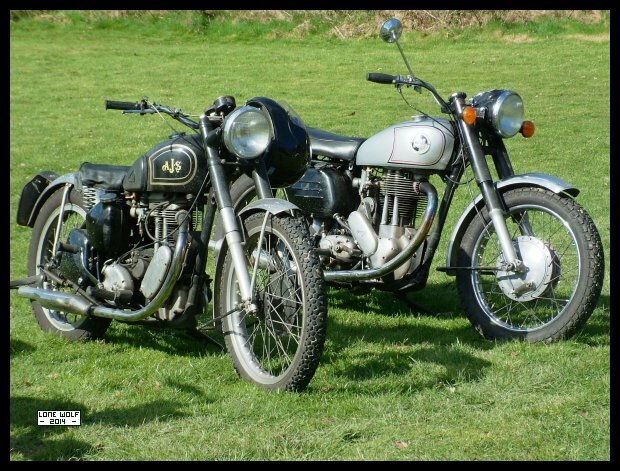 A couple of fine single cylinder bikes at Wistanstow. Most of the week was spent doing various little things with the D14. Wednesday saw me over at LES to discuss my future ( or lack of ) work prospects. Thursday and a I had a visit from the Occupational Therapist - not much I really need around the house. Sunday and we braved the cold and wet to attend the Wistanstow classic bike show. Of course, the cafe at Craven Arms had to be visited, and the Quatford cafe on the way home.